As 2015 draws to a close it is a time for reflection. It has been a year where the biggest tournament in rugby union came to the UK, the regional game in Wales continued to meander laterally and the laws of the game continue to baffle and irritate. Rugby World Cup 2015 was a huge success. Despite eye-watering ticket prices and a decision to have football stadiums hosting matches instead of the rugby heartlands the tournament generated fantastic atmospheres and delivered some particularly memorable matches. 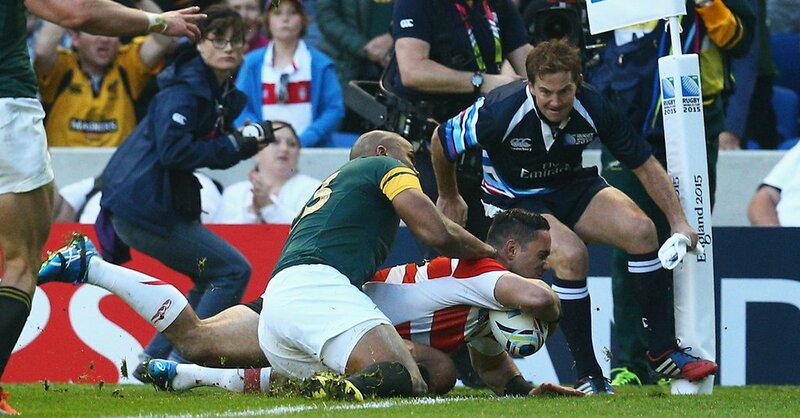 Few will forget Japan defeating the Springboks in the ultimate example of having confidence in ones own ability. 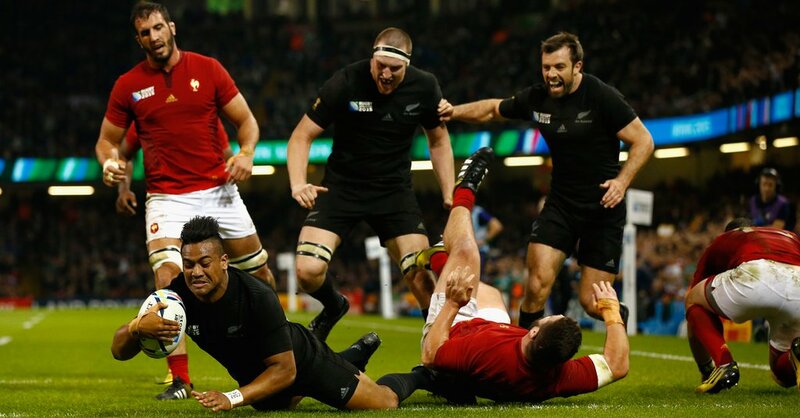 New Zealand played a brand of ‘Total Rugby’ from a different planet against France in Cardiff. There was the controversy of Australia’s last minute victory against Scotland and Craig Joubert’s dash from the pitch. 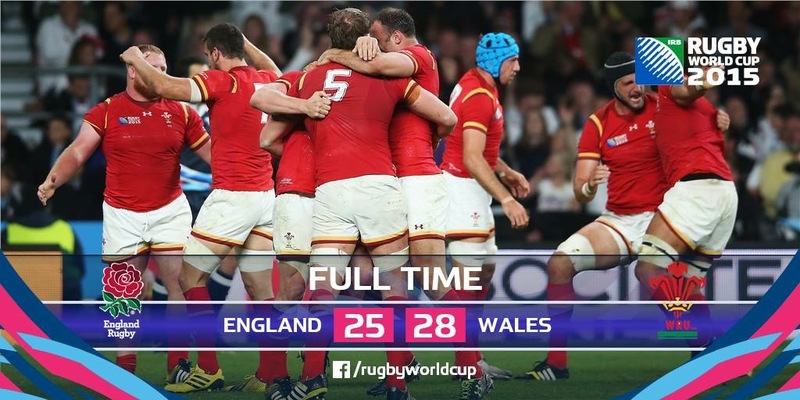 Wales overcame all the odds created by a lengthy injury list against England to pull off a famous win. The hosts failing to emerge from their pool, Stuart Lancaster losing his job and the entire Sam Burgess saga was pure sporting soap opera. The final match itself also provided a tremendous advert for the sport with plenty of action and drama, ably controlled by a Welshman. The relationship between the Welsh Rugby Union and the professional regional teams has certainly been strained in recent years and 2015 was no different. Not that long ago we had the Faletau affair with the talented No. 8 venturing to Bath anyway, leaving the Dragons with no transfer fee and the WRU left with egg on their face. It is a peculiar situation with the Union trying to attract it’s big name stars back to Wales with central contracts but their contribution to their region is often limited. There are five professional teams, Scarlets, Ospreys, Dragons, Blues and of course Wales, all with a core support. Plus, there is your local grassroots club in the town or village where you live. With so much rugby available, clashes are bound to happen, people have busy lives and responsibilities, the costs add up, plus the amount of television coverage, it is no wonder that attendances are hampered. In a few weeks the Six Nations will return and the nation will join forces again but the poor players will be flogged further after the tournament with another four Test matches by the end of June, three of which are away to the World Champions. There is no easy solution. Fans will flock to see big one off games during the festive period and support their nation, proving that the sport still lies at the heart of Wales. However, finding the balance of encouraging those fans to support their local club, their region, as well as their nation is a tough ask. But unless a solution is found, one of that trio will suffer and fade away beyond all recognition. The law book, refereeing and the crucial interpretation variations are probably the most debated part of the sport. A demand for accuracy has resulted in an increasing reliance on the Television Match Official hampering the flow, momentum and entertainment aspect of the game. The Maul in particular has proved to be an effective source of points because the whole area has become a shambles. Players join the maul in front of the ball, the player with the ball often detaches and moves to the back in order to guide the drive and defenders are blocked from tackling the ball carrier. Equally the scrum has resulted in plenty of lost time with teams using the set piece as a source of points instead of a simple way of restarting the match. Despite these issues 2015 saw some incredible matches outside of the World Cup. 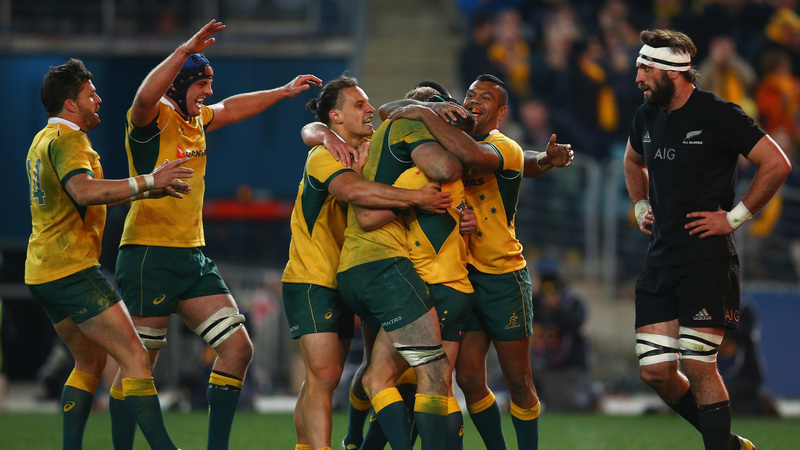 Australia beat the All Blacks to lift the Rugby Championship. The final Saturday of the Six Nations was spectacular with tries galore. In Europe Wasps have been exhilarating in victories over Leinster, Bath and champions Toulon. In the English Premiership Exeter have been performing consistently and look a good bet to hold on to a top four place. In Wales the top of the Premiership is more competitive than in recent years with Pontypridd not running away with the top spot and Merthyr are living up to expectations in the Championship. 2015 was also sadly the year when we lost the first rugby superstar, Jonah Lomu. 20 years ago he changed the sport and became a global icon. His power and pace was matched by his humility. Sadly, he was never a World Cup winner but there is no greater tribute to Lomu and the equally imposing Jerry Collins, than having later All Black icons McCaw, Carter and others successfully retaining their trophy and cementing their place as perhaps the greatest sports team in history. So after training trips to the harshest of climates the Welsh squad returned to the field of play. As with any pre-season game errors were to be expected and with a very different looking Welsh XV including four new caps. What is also traditional is for the typical excuses to be trotted out that Wales start slowly in matches, which must be endemic across the whole squad no matter who they pick. As a result, Ireland accelerated into a 25-0 lead after only 35 minutes, playing with control, patience and intelligence. Wales responded to score a converted try and Eli Walker’s acrobatics although spectacular failed to ground the ball properly before the half time break. Early thoughts included a poor start from captain Scott Williams, losing the ball in contact, being burnt for pace on the outside by Felix Jones and stepped by the excellent Keith Earls. The scrum was also a concern, Nicky Smith being given a particularly torrid time. Lineouts of course went awry as they often do, particularly when close to the Irish tryline. The second half saw some improvement with Ireland lowering their intensity and seeing the customary raft of changes. Tupric’s try in particular was one to savour but ultimately the result was already sealed. 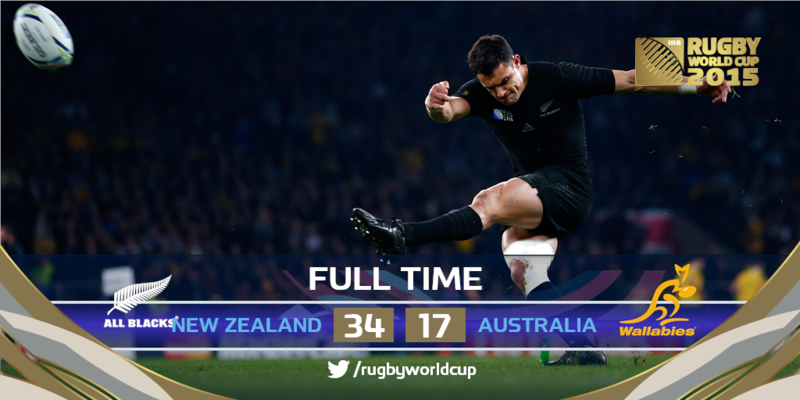 In other headlines Australia beat the All Blacks for the first time since 2011 and won this years shortened Rugby Championship built on a superb forward display. The squad the Wallabies now have puts them in a strong position heading into RWC2015, with the composure of players like the recalled Matt Giteau precisely what they needed in the backs instead of the mercurial but sometimes appalling Quade Cooper. The All Blacks will be livid with certain missed tackles that lead to tries and you would fully expect them to retain the Bledisloe Cup with a thumping victory next weekend. 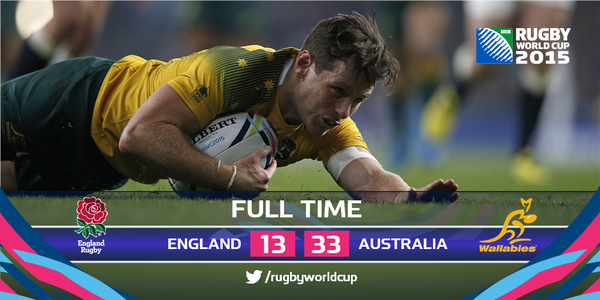 But suddenly Australia have become genuine World Cup contenders. Also of note is Argentina’s fantastic result in Durban beating South Africa for the first time ever. Although the Boks will be disappointed by their performance huge credit to Argentina for their finishing of scoring opportunities and proving that having them joining the Tri Nations has done their team the world of good. Perhaps Argentina, confident of qualifying from their pool behind New Zealand, are a decent bet to make a World Cup semi final. Anyway, back to Wales and the inevitable discussion of who will make the World Cup squad from this week’s performance. Short answer, very few. And now for the new Wales kit. Reactions have been varied. I personally don’t mind it too much. As usual too much thought has gone into it. The ‘Oxblood’ detail (a darker red stripe) is added because oxblood was mixed with cement because of a superstition that the blood of a strong animal would strengthen a building or structure. Also a trim of ‘Welsh Gold’ adorns the shirt, shorts and socks. 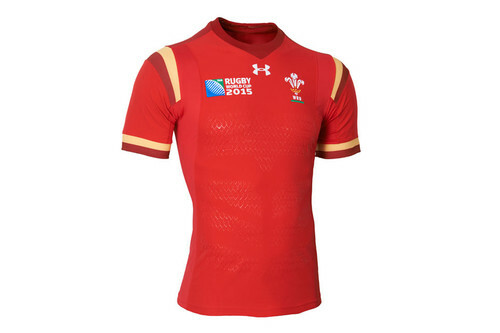 Perhaps if Wales had already won the World Cup then that could be acknowledged in the kit. Ultimately it is red and the shorts have gone back to traditional white. The away kit, although appearing to be black, is in fact ‘anthracite’. No matter what Wales wear all the fans want to see is a better performance than Saturday and hopefully plenty of wins!